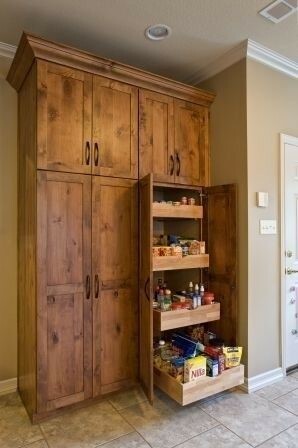 Kitchen Storage: You Can Never Have Enough! Whether you are updating your kitchen or your bath, choosing the right cabinet hardware is big decision. 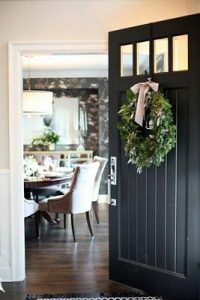 Consider which style, shape, and material will look best in your space before you buy. 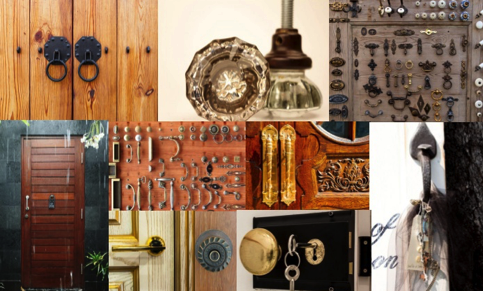 The most popular type of cabinet hardware is the knob. Decorative or simple in style, a cabinet knob is attached to a cabinet door or drawer with a single screw. Often referred to as handles, cabinet pulls serve the same function as a knob but are larger. 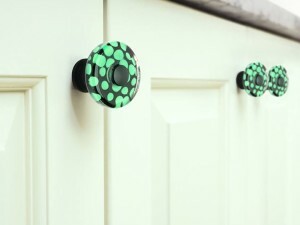 Unlike knobs, pulls are attached to the cabinet door with two or more screws. 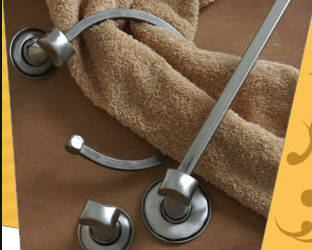 Cup pulls are a popular choice for giving a space a minimalist, vintage feel. The semi-circular shape provides an easy-to-open handle for drawers. Unlike other types of pulls, bail pulls feature a hanging handle. 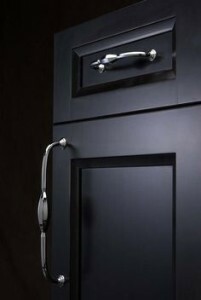 The hanging handle is easily grasped and allows opening drawers with ease. 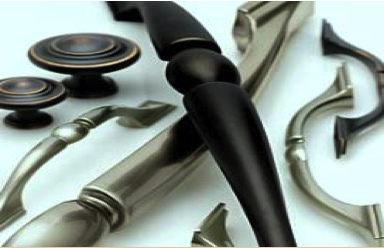 Regardless of the type of hardware you choose, they are all available in a variety of styles and finishes. You are sure to find the perfect ones to accent your space.